Le millésime 2006 était très beau millésime, chaud et assez venté. 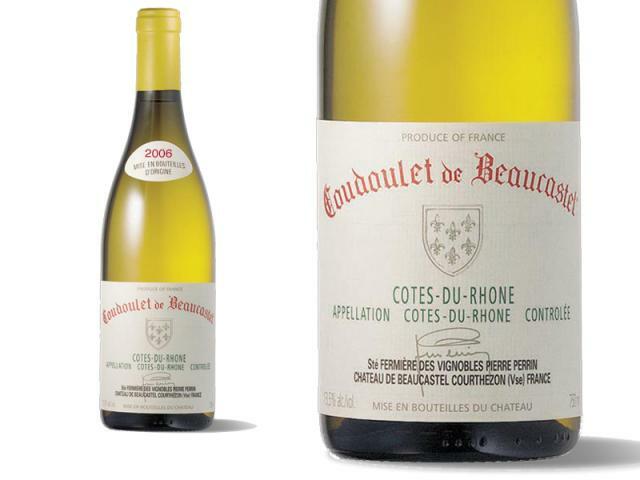 The outstanding 2006 Beaucastel Cotes du Rhone Coudoulet Blanc (equal parts Viognier, Marsanne, and Bourboulenc with 10% Clairette added for aromatics) is outstanding, one of the best versions of this wine I have tasted. It is dry, medium-bodied, with oodles of honeysuckle and orange marmalade-like fruit notes intermixed with some lemon oil and citrus. Good acidity, wonderful freshness, and obviously no oak whatsoever make for a tasty, food-friendly wine to drink over the next several years.